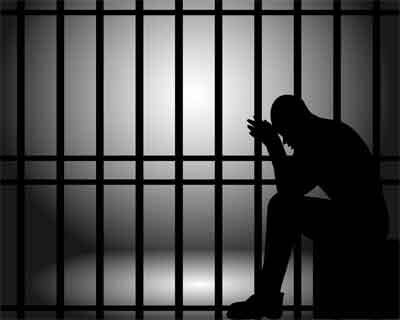 New Delhi: In a major strike against unqualified medical practitioner in the capital, a quack has been sentenced to six months of rigorous imprisonment for prescribing allopathic medicines without the requisite medical qualifications. He has been asked to pay compensation of Rs 40,000 to the Delhi Medical Council. The man identified as Soumen Mukhopadhyay was practicing at a clinic in Nand Nagri without possessing adequate medical degrees. In 2007, his clinic was inspected by Chief District Medical Officer (CDMO) North East district team and found him to be practicing Allopathic system of medicine.When he was asked for the requisite medical degrees, he failed to produce them. He claimed to have his degree in MD (AM) in Ayurvedic system of medicine and Electrohomeopathy. He was then served with the show cause notice to appear before Antiquackery committee of Delhi Medical Council on 11th October 2007.He appeared before the committee and admitted to be practicing allopathy. However, when his clinic was inspected again by the authorities of CDMO (NE), it was found to be functioning. A case was then filed against the quack was filed at Court and FIR 114/10 was registered at Nand Nagri Police station. Finally on 5th April,2019, the Honorable court of Pankaj Arora Metropolitan Magistrate of Shahdara district passed order on sentence where Soumen Mukhopadhyay ‘was sentenced rigorous imprisonment for 6 months for offence under section 27 of the Delhi Medical Council Act and directed to pay compensation amount of Rs 40,000/- to Delhi Medical Council’. In default of payment of compensation, the convict shall undergo further simple imprisonment for 3 months, the Metropolitan Magistrate added. I THINK THE TIME HAS COME TO COMPLAIN AGAINST THE CUNNING CROOKED CARELESS CORRUPT BABUS THE BUEROCRATES & THEIR CASTIEST COMMUNAL CARELESS POLITICIANS TO LOKPAPL & ALSO INCLUDING PEOPLE OF JUDICIARY. HE MUST HAVE SINGNED THOUSANDS OF PRESCRIPTION IN A MONTH. OVER THE YEARS MAY BE IN MILLIONS . HUNDREDS OF CHEMISTS/ DRUGISTS, PHARMACISTS / DAWAI DUKAN WALE…. LABORATORY WALE, SCANNING CENTRE WALE….ENTERTAINED THOSE REQUISITIONS. WHO IS GOING CATCH & PUNISH ALL THOSE/ THESE….WHO WERE PART OF HIS QUACKERY. QUACK MAY BE ONE , WHERE AS HIS SUPPORTS ARE MANY ( I THINK EVEN THE JUDICIARY , EXECUTIVE AND LAWMAKERS ARE VERY MUCH OF IT DIRECTLY OR INDIRECTLY , INCLUDING THE DOCTORS WHO HAVE REGISTERED THEIR NAMES VARIOUS STATE MEDICAL COUNCILS.). MORE THAN 60 % OF DOCTORS IN WORKING IN I C U s IN SO CALLED HIGH TECH / CORPORATE HOSPITALS ARE BAMS DEGREE HOLDERS. THERE ARE HARDLY 2500 QUALIFIED, KNOWLEDGEABLE, SKILFUL , SINCERE COMMITED DOCTORS IN INDIA . WE ARE ONLY GOOD AT TRIMMING THE SHOOTS , BUT LIVING ALONE THE ROOTS , THE ROOT CAUSE FOR ALL THE CUNNING , CROOKED , CARELESS AND CORRUPT PRACTICES. WHEN THE JUDICIARY EXECUTIVE AND LAWMAKERS ARE INEFFICIENT & INEFFICIENT ,IT IS IMPOSSIBLE FOR ANY STATE MEDICAL COUNCIL TO CHECK UNLAWFUL ACTIVITIES . 2007 TO 2019….. NOTHING COULD BE WORSE THAN THIS KIND DEADLY DELAY IN DELIVERING THE SO CALLED JUSTICE OF DISSATISFACTION. It\’s the mockery of medical system by judiciary. All qualified practicing doctors are fined to no end under the pretext of negligence and here a quack is practicing allopathy without any qualification and is left out with a paltry fine of 40000/ and six months jail. God knows how many patients he must have killed or landed them up with various organ dysfunction. I am sure he will come out of the jail and start the clinic somewhere else. I request the medical body to continue such raids. If you move around you will find 40-50% people practicing as doctors are quacks. We have seen many people even working with fake degrees in many of the reputed hospitals. It is very difficult to say that it is quakery. It seems that he possesses training for ayurveda and some alternate system but practicing allopathic system. Its a trans-system practice – something punished sometimes, allowed sometimes by the apex court. Different governments allow such practice in limited manner in India. Thus the thing is all confusing. A clear legislation is needed. It is a mockery of ongoing anti quackery drive. This is agood case and example I agree. But I am reminded of one case in past. A BAMS man was practicing and running (in fact he is still running) Children clinic with gynae clinic. Yes Tuteja in Sector-16, Rohini, Delhi. In that case he had worked under Dr. Tarsem Jindal, a child specialist at Jaipur Golden Hospital. A prolonged litigation but DMC lost the case in court. He is still running child care clinic with Delivery and immunization. His prescriptions have ony Clinic name without any Doctors\’ name. Also every colony has bengali doctor practising allopathic medicines. Do we have the guts and resources to control it. rather we daily hear Government going with schemes lime producing Rural Practitioners with 6 months training program. Only qualified and that too MBBS doctors registered with state medical councils are penalized. is there any remedy? I do not think we can cure it. So we resign to fate.